Vanessa faces off with Dmitri. Axel fights against becoming a full-fledged vampire. Sam tracks Mohamad, Flesh, and Lucky. Scab attempts to enlist a fierce group of vampires to join Dmitri. Vanessa relives the memories of her ancestor, Lily Van Helsing, in Colonial Hong Kong. There, she learns to control her dark side and fights the B'ah, the second vampire Elder. To track down the remaining elders, Vanessa, Scarlett and Axel are taken to an old insane asylum which housed one of their ancestors. 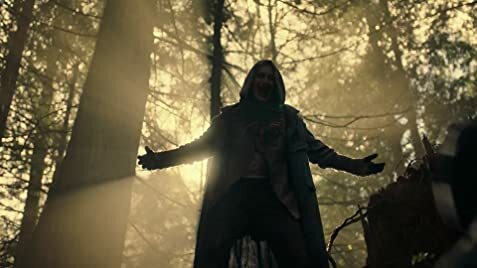 Van Helsing Season 4 release date: When does the show return to Syfy in 2019? 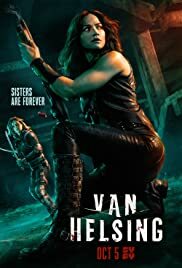 How many episodes of Van Helsing have you seen? Following Wyatt Earp's great great-granddaughter as she battles demons and other creatures. With her unique abilities and a posse of dysfunctional allies, she's the only thing that can bring the paranormal to justice. Did anyone with horrible reviews actually watch the whole season? Yes, it has its flaws. but most reviews of this show seem really off. Vampires acting like zombies? Zombies acting like vampires? Old zombie flicks had slow walking zombies, when they were re- imagined and starting running full tilt, i didn't see anyone whine about it. Old vampire flicks were good, new ones seem good. except for garbage like true blood. But no one really whined about that. Get over it. Its someone else imagining what a vampire is supposed to act and look like. As for the season itself, I do believe it was done well enough to keep me watching. I will recommend it to friends as I did enjoy a lot of what it had to offer. Cant wait for season 2. 11 of 19 people found this review helpful. Was this review helpful to you?